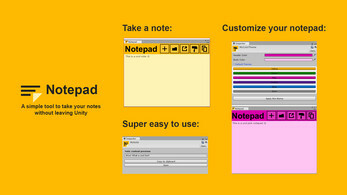 If you need a note-taking tool this extension is for you. 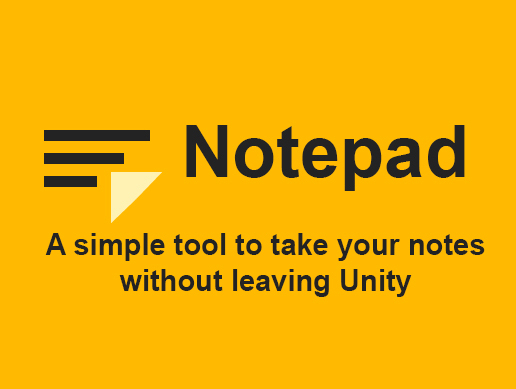 Take your notes without leaving unity thanks to this plugin and increase your productivity and organization. With its user-friendly design, this tool is extremely easy to use. You can also customize the colors of your notepad using the Color Themes utility. Check my other tools at https://github.com/sverdegd ! 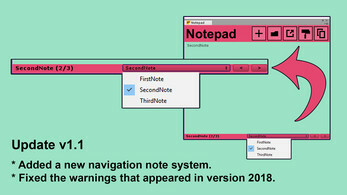 Added a new navigation note system. 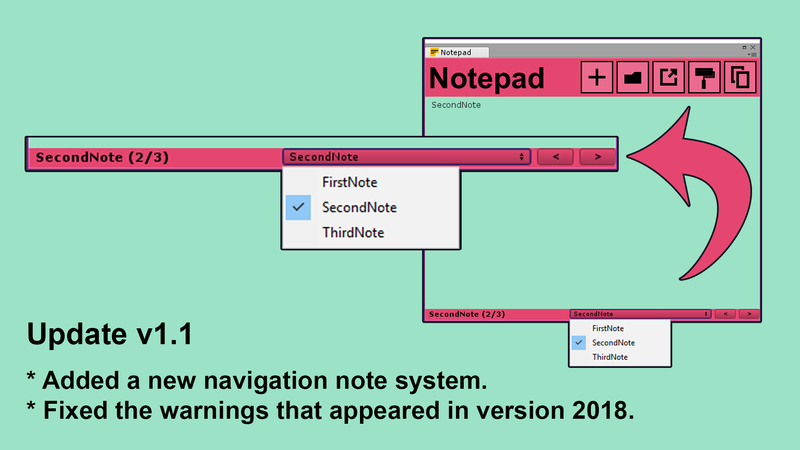 Fixed the warnings that appeared in version 2018. Changed the style of the navigation bar buttons. Fixed undo in the ColorThemeEditor. Fixed the default themes foldout in the ColorThemeEditor (now click on the label toggles the fold). Now the save path of the last open note is independent per project. Now the initial path of any file browser will always be the path of the project. Also available on the Unity Asset Store!